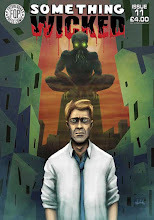 FutureQuakePress: 1st Look- REGRETS, RULES AND JELLIED EELS. 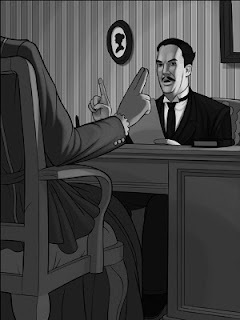 1st Look- REGRETS, RULES AND JELLIED EELS. Every once in a while- we here at FQP will read a sript and realise that we've got something different. Something we've not seen before. REGRETS, RULES AND JELLIED EELS is one of those stories. 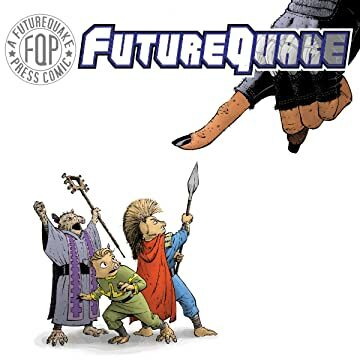 Written by Neil Merrett and with astoundingly beautiful art by Richard Smith, this is the lead strip for FutureQuake 17 when it goes on sale later this month, and as such is the focus of the cover. FutureQuake 17: Balinski's Final Fight!